MSNBC has been airing a new promo that emphasizes its apparent renewed focus on news analysis and in-depth reporting over just reading headlines. 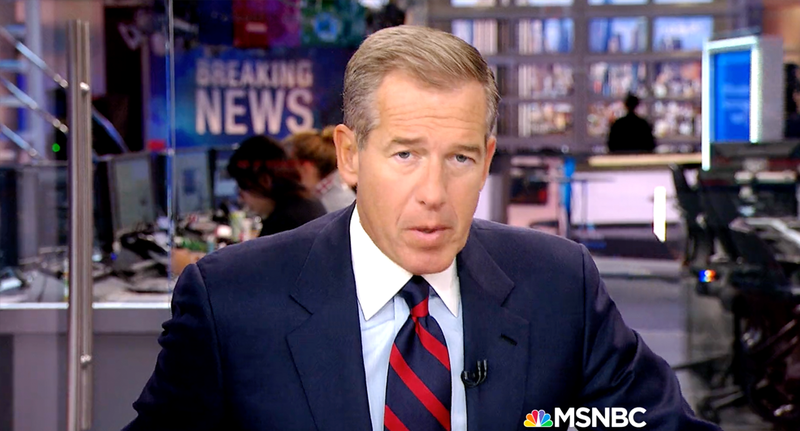 A wide range of MSNBC personalities are featured in the fast moving spot — and it’s worth noting the prominent inclusion of Brian Williams. He later negotiated a return to NBC News that included promises of a prominent role in the MSNBC lineup, mainly to cover breaking news stories but also popping up in coverage of other major events. While Williams’ role at MSNBC was initially described as a sort of “breaking news anchor” and the channel seemed to be leaning toward an emphasis on that type of coverage, this promo is designed to clarify the channel’s offerings and point out that its content goes beyond simple news headlines that, like the promo points out, can be found on anyone’s Twitter feed. That said, Williams presence on the channel has been a bit sporadic and inconsistent. For instance, as of this writing, he has yet to appear on MSNBC’s air covering the EgyptAir Flight 804 incident.